Andrew Grayson joined the Office of Admission in 2013. Originally from Grand Rapids, MI, he first set foot on the Kalamazoo College campus in 2006 as a first year student who had heard about K from his high school counselor. He became involved in many student organizations during his four years on campus and researched the social impact of transportation infrastructure on population groups in urban regions for his Senior Individualized Project. After graduating in 2010 with his B.A. in Human Development and Social Relations, Andrew worked for a number of years in political and nonprofit fundraising. As someone who loves to travel and explore new places, he is always on the hunt for a new market or local bakery. Andrew is a member of the Michigan Association for College Admission Counselors (MACAC) and describes himself as a/an: aviation nerd, foodie, gardener, runner, political junkie, Urbanist, NPR listener, and chocolate milk drinker. Favorite Food: Bacon, and anything that you can put bacon in. When you visit Kalamazoo, you must… stop by Sweetwater’s Doughnut Mill. They have the best doughnuts I have ever had, hands down. Favorite question from a prospective student: My favorite question is “What qualities identify a student who is a good fit for K?”. 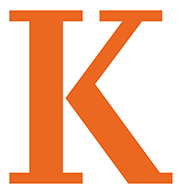 I love this because it really gets at the heart of what Kalamazoo College is about, which is the community of diverse individuals with unique backgrounds and interests, but who have a love for learning in common. I also love it because in describing the students at our College, I am reminded of how very lucky I am to work with such dynamic, curious, driven and intelligent young people.